With a view to ultra-precision polishing of SiC wafers, the chemical-magnetorheological compound finishing (CMRF) method was proposed based on the principle of the Fenton reaction. To study material removal characteristics of CMRF, a force model for polishing pads based on magnetorheological (MR) effects was built. 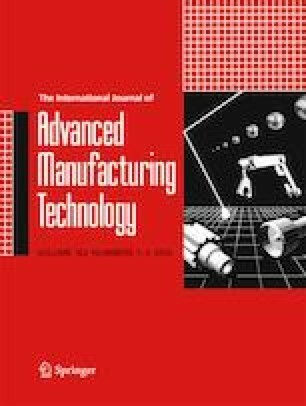 Through the theory of solid-phase particles, this study conducted a force analysis of carbonyl iron powders and abrasives and calculated polishing forces of a single polishing pad based on MR effects on a workpiece surface. Based on this, according to the Preston equation, a material removal model was established. By conducting the CMRF test on monocrystalline SiC wafers, it is found that the test results were consistent with theoretical calculations. This work was supported by the NSFC-Guangdong Joint Fund Project (Grant No. U1801259), Science and Technology Project of Guangdong Province (Grant No. 2016A010102014), and Guangdong Graduate Education Innovation Project (2018JGXM35, 2018SFKC15).